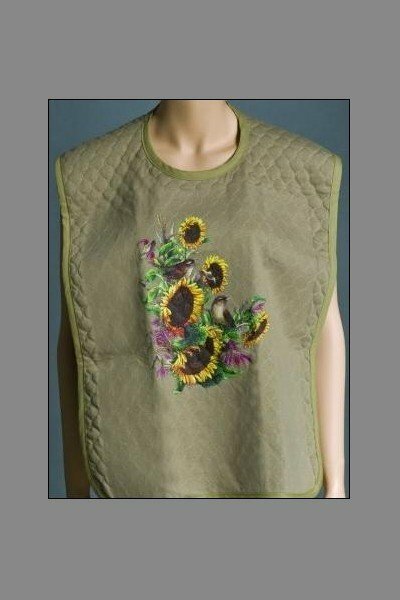 This quilted adult bib features an adjustable snap closure at neck with front design. Ladies and men’s prints. Machine washable. Poly/cotton blend.